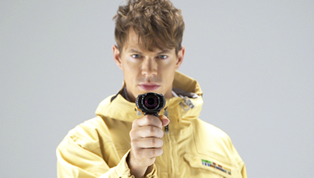 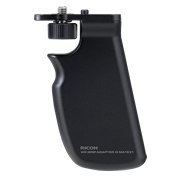 Accessory for better holding properties during video shooting with WG-M1/M2. 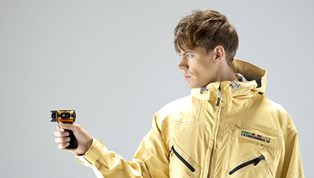 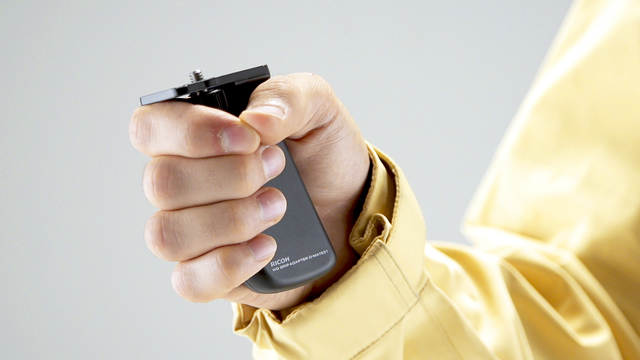 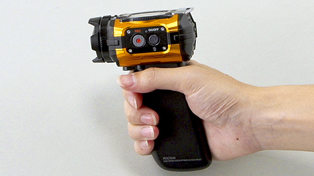 You are able to shoot by holding WG-M1/M2 with your hand comfortably. 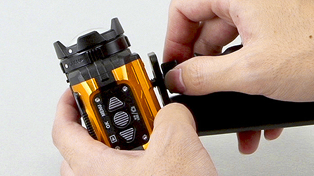 1 Align the Video boss of the grip adapter to the positioning hole of a camera and fasten the camera screw.